San Diego County health officials Wednesday reported five more influenza deaths in the region, bringing this flu season’s death toll to 16. According to the county’s weekly flu report for the week of Jan. 6-12, there have been 2,623 lab-confirmed flu cases this flu season. In comparison, the county had tracked 12,484 flu cases and recorded 142 deaths at this time last flu season. County residents can get vaccinated at doctors’ offices, retail pharmacies, community clinics and the county’s public health centers. 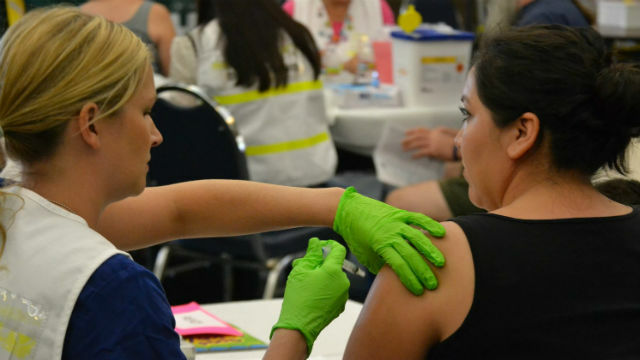 Residents can also call 211 or visit the county’s immunization program website, sdiz.com, for a list of county locations administering free vaccines.